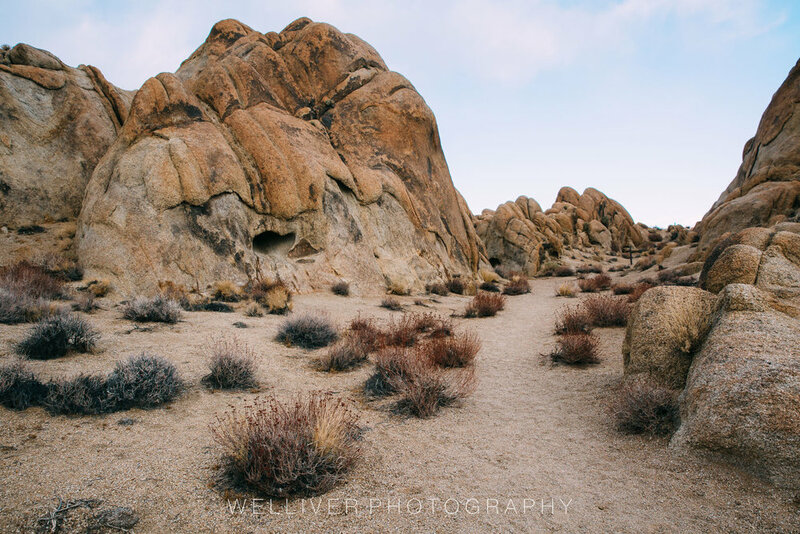 It seems we can't drive along U.S. 395 through Lone Pine without stopping in the Alabama Hills. Something about this landscape just draws us in every time. 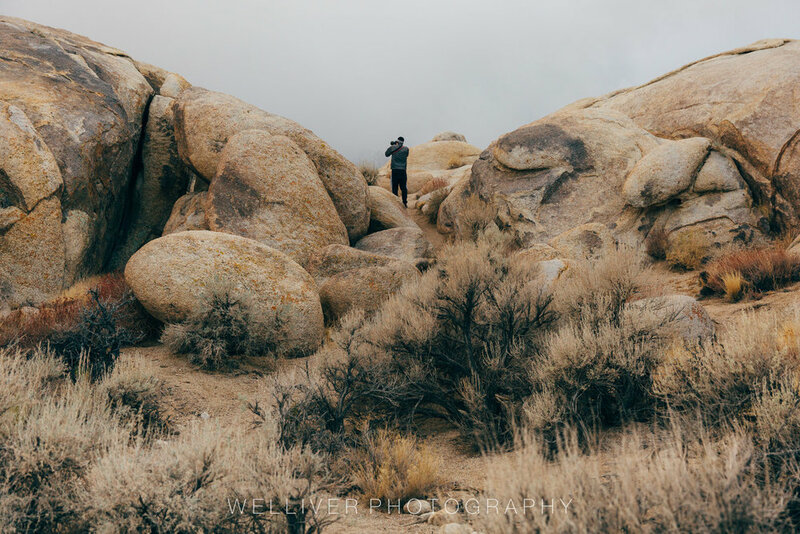 We spent the Christmas holiday weekend playing cameras in the Eastern Sierras, which meant we went past the Alabama Hills twice...once on the way to Bishop, and once on the way home. On the way to Bishop we were trying to beat a storm, so we just stopped in the Alabama Hills for about an hour. But an hour was enough to set the tone for a great weekend of hikes and early morning shoots and snowball fights. I wish we could spend more time on the far side of the Sierra Crest, but I imagine that the rarity of our visits over there make each trip that much sweeter.